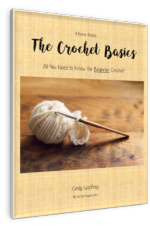 The crochet yarn that you choose will completely determine your final result --whether it's soft and fuzzy, shiny and smooth, or thick and cozy. Your yarn will ultimately decide the size of your crochet hook as well. It's probably the most important decision you'll make in your project. Patterns will tell you which yarn they used or which yarn they suggest using, but remember, it's just that . . . a suggestion. Unless you want the exact result as the pattern, you're free to substitute the yarn you want, whenever you want. Some patterns will be made with one solid color throughout, but you could always add stripes or color blocks if you wanted. The same goes for when your pattern calls for stripes and you want it to be all one color. You can also substitute softer or coarser yarn as well. It’s your project. Do it the way you want it to be. There are no hard and fast rules when it comes to your yarn choice. Choose the one that will give you the results you want. When substituting yarn, Remember Your Gauge! It's especially important to check your gauge when you vary from the pattern. If you’re like me, you’ll vary from the pattern quite often. So, I’ll give you some information that should help with yarn substitutions. The weight of a yarn doesn’t refer to actual pounds or ounces. It refers to their bulkiness, how thick or thin a strand of yarn is. There are 7 classifications for yarn weight. Lace weight is really more of a thread than a yarn, but it is still included in the classifications. The weight of crochet yarn is usually chosen by the project. For example: Baby booties would generally be made from fine or light weight yarn, while a big, warm, cozy scarf would generally be made from medium or bulky yarn. The yarn weight will determine the size of your hook, the bulkier your yarn, the larger the hook. ﻿Here’s a chart of the yarn weights, types of yarn in each weight, typical gauge for each weight and the corresponding hook sizes﻿.﻿ ﻿﻿﻿ ﻿Standard Yarn Weight System from the Craft Yarn Council of America. There are many, many different types of yarn. There are some which are used much more often than others, probably because they're easier to work with. Sometimes, though, the more difficult yarns will give you amazing results. I'm just going to cover the most common types of yarns here. Wool Yarn - Wool yarn is wonderful to work with. It has a bit of a spring to it. This makes it easier to use since the yarn will give a little when you work your stitches. Wool yarn can be very soft or very coarse depending on the kind you choose. Alpaca and Llama Yarns - These are generally softer than wool yarns. Although, neither one has as much give, making them a bit more difficult to work with. Cotton Yarn - Cotton yarn comes in many varieties from smooth to fuzzy, thin to thick. It can be wonderful for any project. However, cotton yarn has very little give to it. This can make it much more difficult to work with. Silk Yarn - Silk yarn is beautiful in crochet, but can be very difficult to work with, because it tends to be slippery. 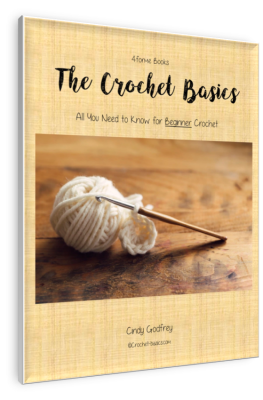 This is definitely not a beginner's yarn, but one that you'll want to work with as your abilities develop. Synthetic Yarns - These are definitely used more than any other type of yarn. Acrylic and polyester fall into this group. Basically any man-made fiber is in this group. These yarns are generally easy to work, especially for beginners. They can be used on any project and would give beautiful results. Like I stated earlier, there are so many different types of yarn out there today -- mohair, bamboo, blended, ribbon, chenille, metallic -- the list could go on and on. I don't think I could even name them all. Crochet Yarn Help . . .
Go to the yarn store, check them all out, ask questions, work with the different types, and see what you like. There's a perfect yarn out there for every project and every crocheter. Chances are, you'll find that you love yarn, almost as much as you love crochet!! Yarn labels are full of all kinds of wonderful information. They will tell you the yarn weight and the recommended hook size for crochet and knitting. You'll also find care instructions, fiber content, and gauge (be sure it's the gauge for crochet and not knitting). You'll also find the dye lot and color number. This is a link if you need help understanding the Universal Laundering and Care Symbols on the labels. It's a good idea to always hang on to your labels until your project is complete. That way you can refer back to them when you need to. 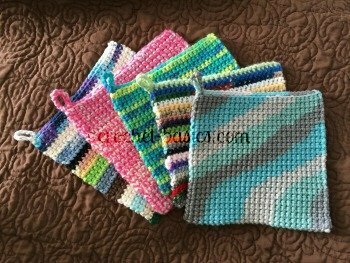 Now you have your Crochet Yarn and you're ready to choose a Crochet Hook. Learn all about them here.